It’s the birthday month of Singapore. A few years back, the country probably saw just a handful of new restaurant openings every month. 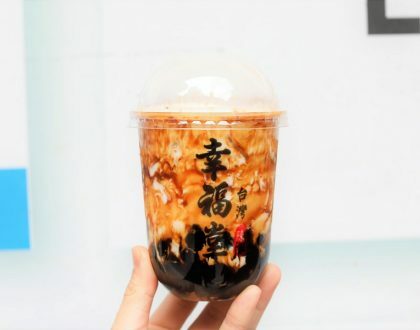 Now, there are NEW restaurants and cafés almost EVERY SINGLE DAY. A sign of progress, fickle-changing-minds of consumers, or this is how food will go in time to come. 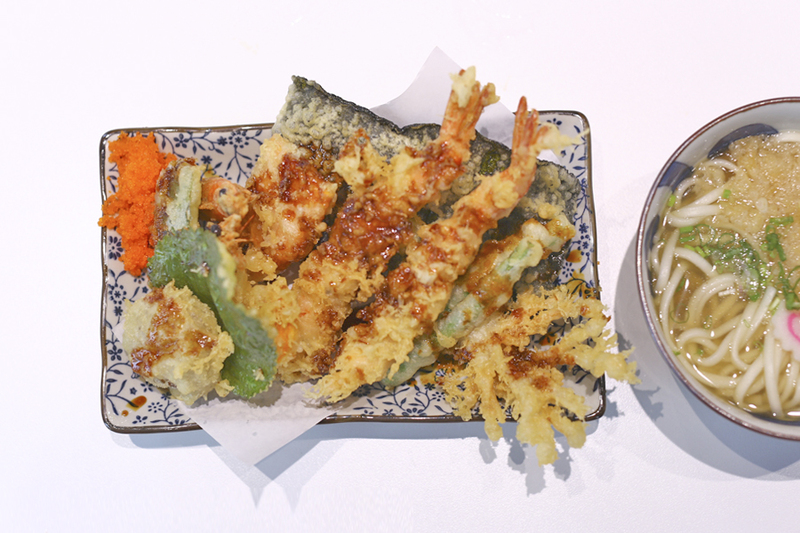 After returning from a holiday early last month in Sydney, I saw a mini-flood of Japanese restaurants opening – there could be at least be 10. I have visited 6 of them and included them here. The good thing is, we are starting to see more specialty shops with some character, rather than those which sell everything-under-the-sky. 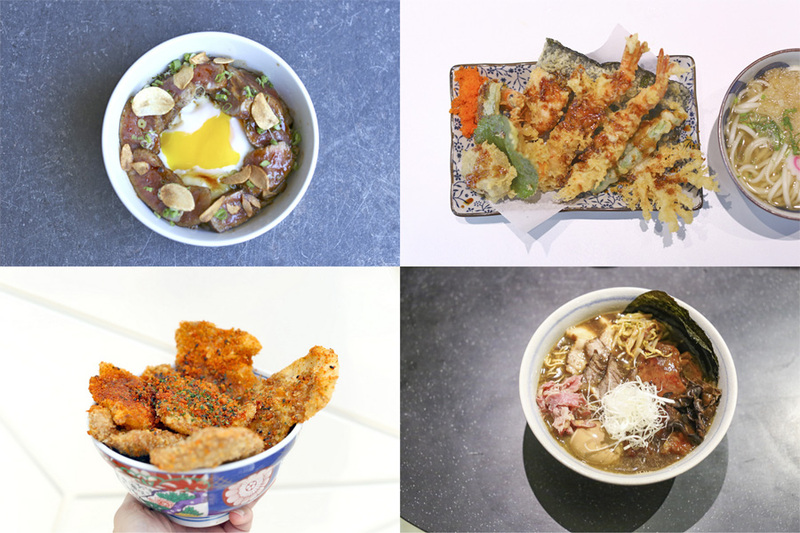 This should be the only Tendon shop in Singapore that allows diners to customise their own tendon bowl, from the key ingredients (chicken, prawn, vegetable or mixed), to base (rice, soba, udon), sauces (choice of four), and add-ons of chawanmushi and miso soup. 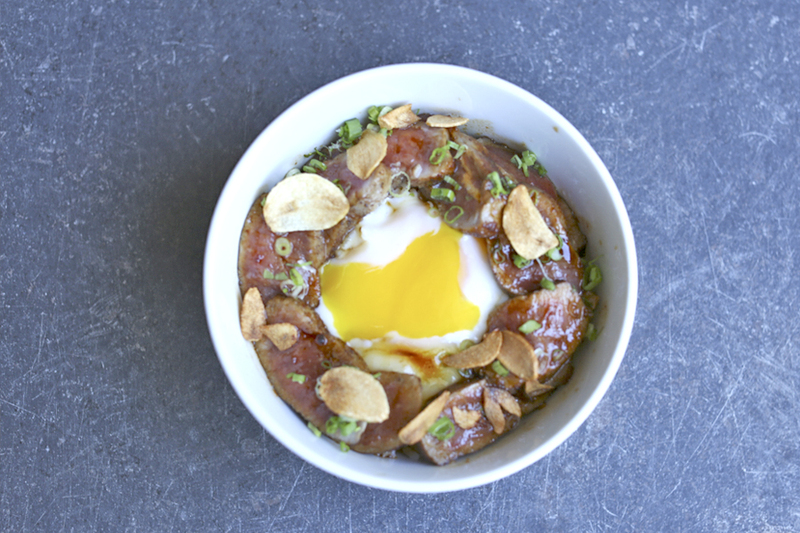 Katsudon Hanakatsu looks like it is off to a positive start. 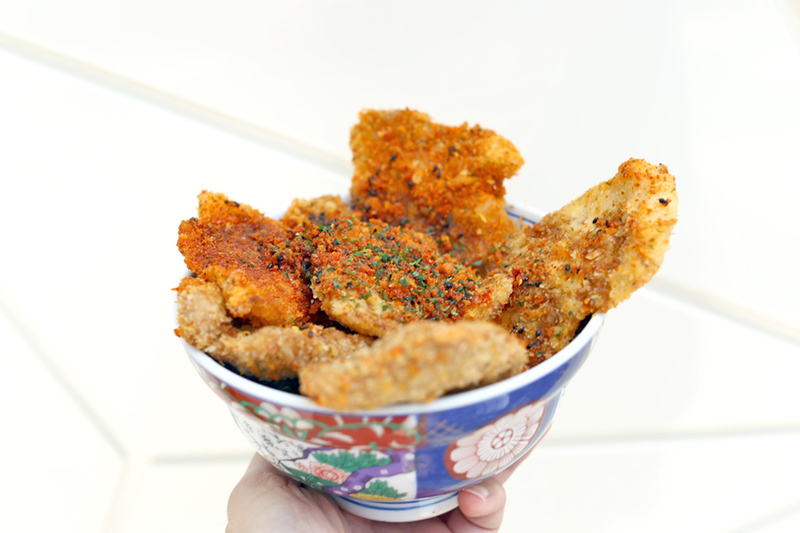 The restaurant serves only Katsudon filled with deep-fried chicken and pork in 2 different versions – regular and spicy. 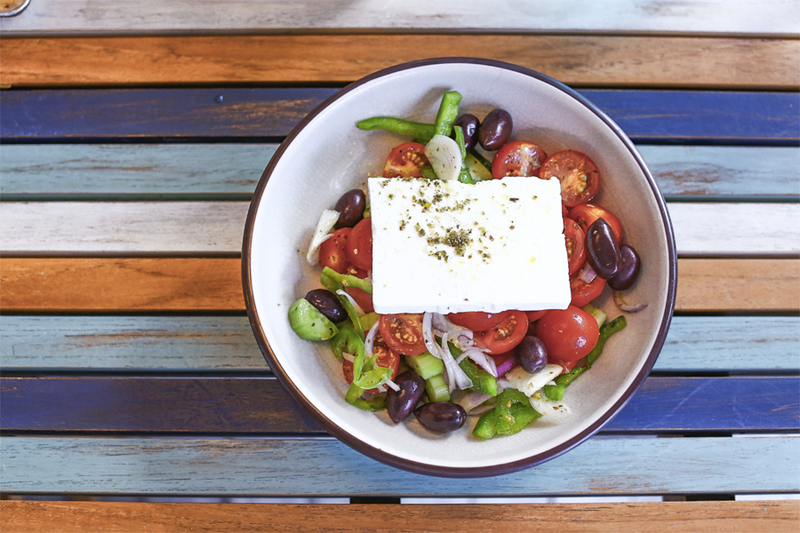 Price is considered reasonable, at $13.50 per bowl with a sizable portion. 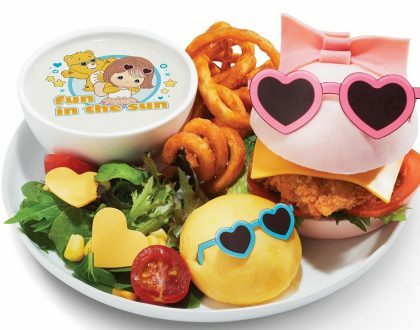 The bowl came piled up with medium-thick crispy pork and chicken slices, looking as though it was trying to emulate the shape of a blossom. Were there like six slices of them? A ramen joint specialising in Tonkotsu ramen, with 3 version of original, garlic or spicy. 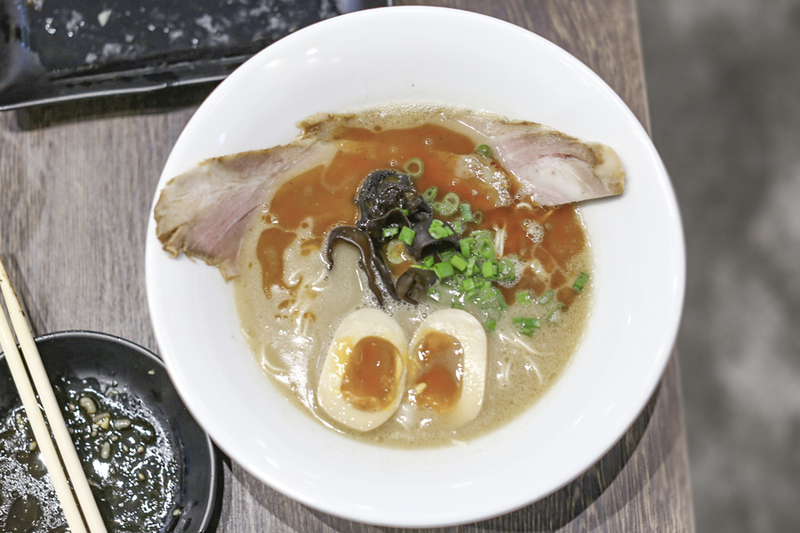 The ramen items were considered inexpensive in Singapore’s context, with a basic Tonkotsu bowl at $10.90, $12.90 with addition of ajitama egg, and $14.90 with an “all toppings” choice include seaweed and chashu. Chikuwatei Nishi at 48 Lorong Mambong is a new izakaya-style concept by the group behind Chikuwatei, but has younger, more casual vibes. 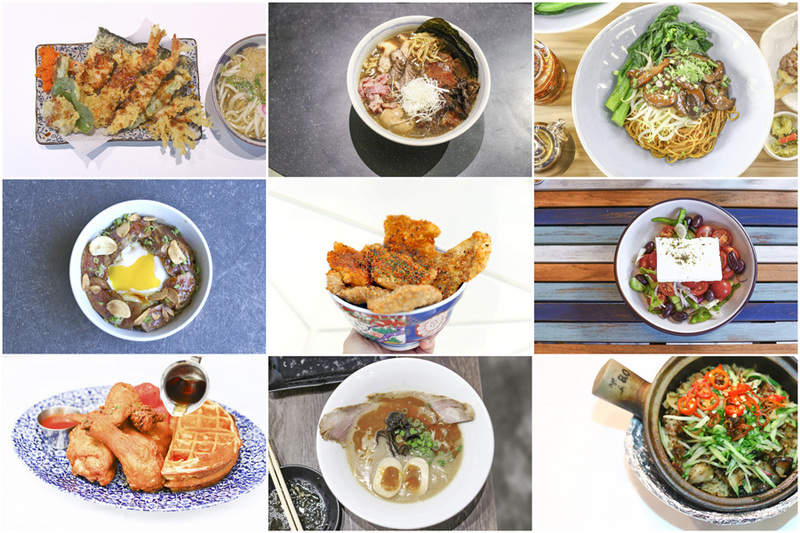 Level 1 is a “Momo Bar” dining and retail concept, offering quick fuss-free Japanese street food and bowls. Food is ordered via a vending machine, with most items below $10. There is Barachirashi ($9.80), Curry Tempura Don ($7.80), Unagi Tamago Don ($9.80), Sashimi Soba ($8.80), and Salmon Ontama Don ($8.80). The upper level is a sit-down dining concept with a sake bar, with Japanese fare including Chirashi Kou ($35), Truffle Salmon Aburi ($18), Sashimi Soba ($16), Mixed Nigiri Set ($18), Kurobuta Nishi Bowl ($16) and Nishi Tendon ($12). 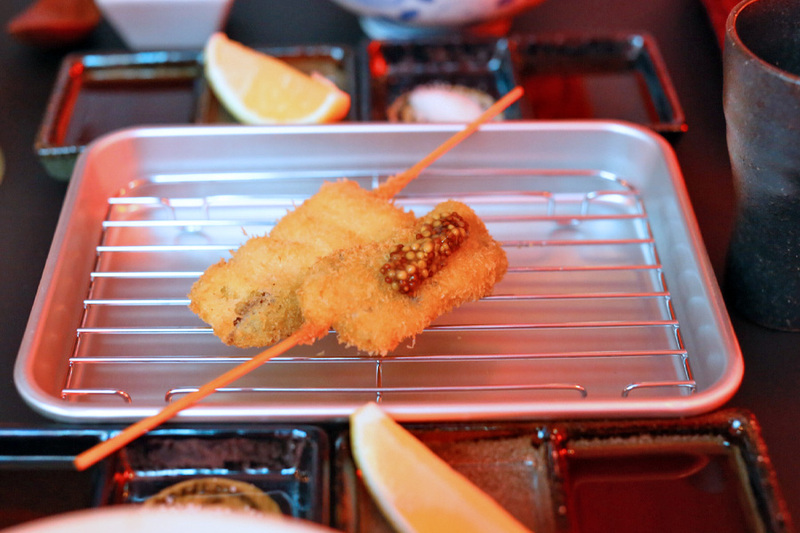 The inspiration for Panko is the neon glow of Dotonburi and the back streets of Osaka. This Kushikatsu Restaurant and Bar concept is led by the team behind Bincho at Tiong Bahru. Some of the specialities include Scallop with Uni ($8), Mochi Bacon with Mentai ($5), Shiitake with chicken miso and shaved truffle ($8), Pork Belly with whole grain mustard ($3), Shishamo ($2), Zucchini with tomato sauce ($2). Each kushikatsu is coated in a secret panko batter recipe from Japan that is light and crispy – accentuating the flavour of the food. Opened by the people behind Standing Sushi Bar and Tanuki Raw, Sumo Bar Happy is a hidden-from-plain-sight eatery within the Bras Basah Arts district. 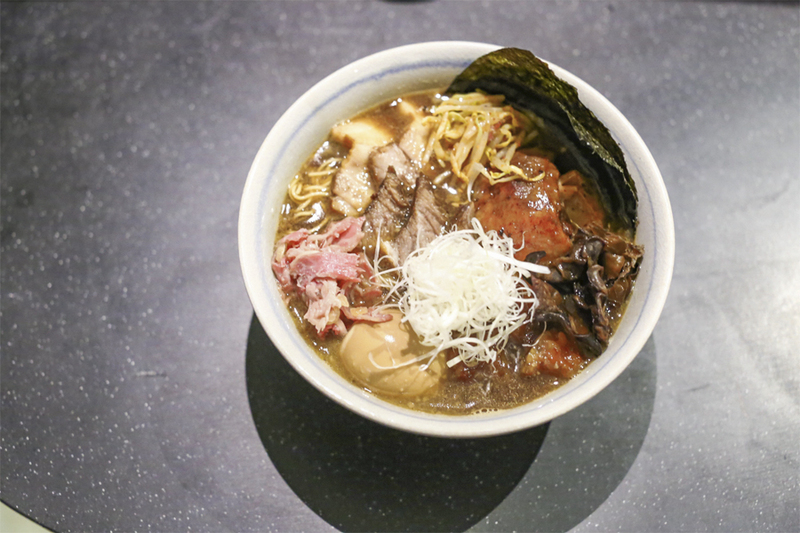 Other than the Char Siew Ramen ($17), you don’t get the usual varieties here – Oxtail Ramen ($21), Beef Ramen ($19) and a whooping Bone-In Rib Ramen ($42). Didn’t type that price wrongly. I ordered a Sumo Ramen ($23) which was value-for-money for having slow-roasted oxtail, braised beef tendon, sautéed US beef, boneless short rib all in one bowl, complete with collagen-rich tonkotsu broth and thin springy noodles. Bakalaki makes you feel like in the land of the Mediterranean once you step in (if you ignore the noises of nearby traffic). The interior is warm and welcoming, reminiscent of a traditional Greek home designed by award-winning Greek designer Dimitris Economou. The Bird Southern Table And Bar by Restaurateur John Kunkel, is dedicated to classic Southern cooking and farm-fresh ingredient. 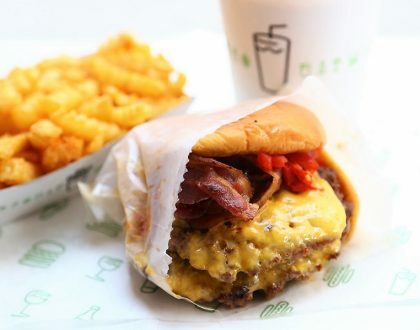 It operates two outlets in Miami and Las Vegas. The Singapore outpost is located near the Bread Street Kitchen side at Marina Bay Sands, with 2 levels of 190 seating capacity in total. 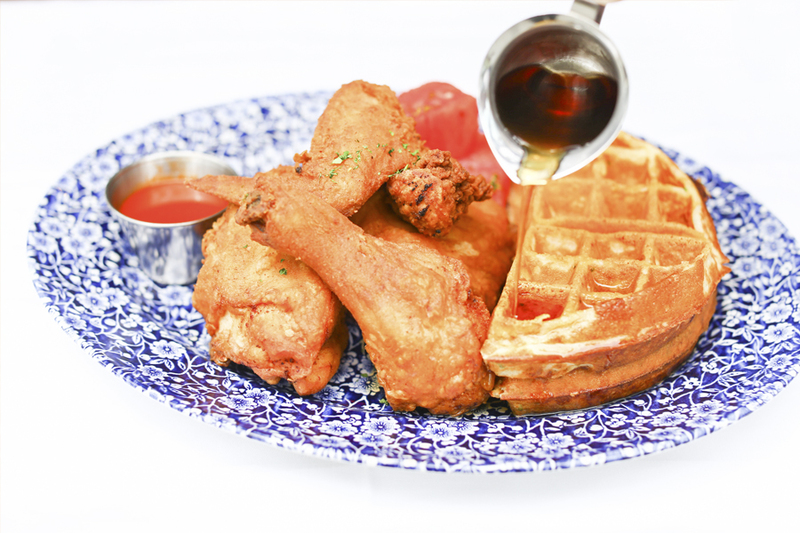 Southern style Lewellyn’s Fine Fried Chicken is the highlight, cooked with a 100-year old recipe. The chicken would be brined for 27 hours before mixed in a medley of spices such as paprika, cayenne pepper and garlic powder. Chinese Noodle Bar by Blue Lotus focuses on Northern Chinese flavours and dishes, and signature dishes include the Grilled Giant King Prawn “Lau Gan Ma” Noodles ($16.00), the Signature Crispy Pork Lard Truffle La Mian ($12.00), a vegetarian Truffle Mushroom & Beansprout La Mian ($12.00), Grilled Soya Chicken Drumstick Noodles ($13.00) and Braised Minced Pork Lu Rou Fan ($12.00). I also ordered the Truffle Mushroom & Beansprout La Mian ($12.00), hoping it could bring some excitement as truffle (or at least the oil) is seldom used in casual Chinese restaurants. 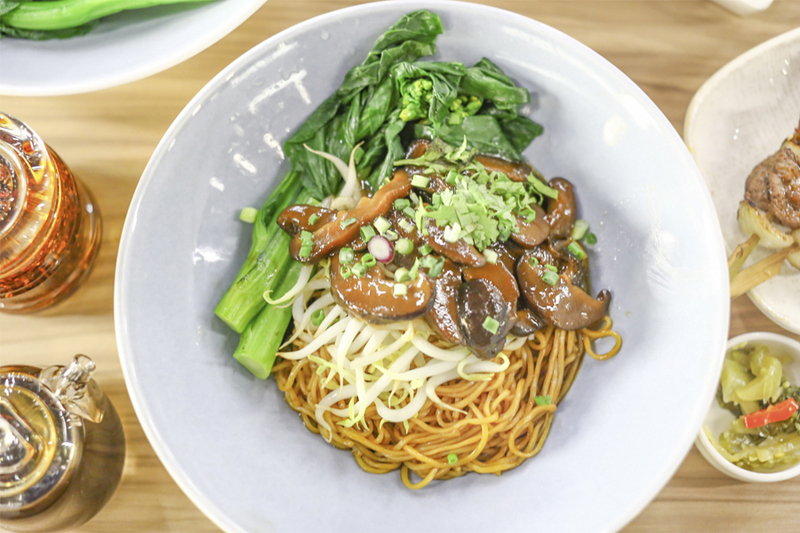 While the noodles in terms of bite was decent, the entire combination lacked some form of oomph and I felt the need to add some other sauces in – which I don’t normally do. Good to find some hearty local food at Dempsey, which is known for many of its bars and restaurants, but few of such nature. 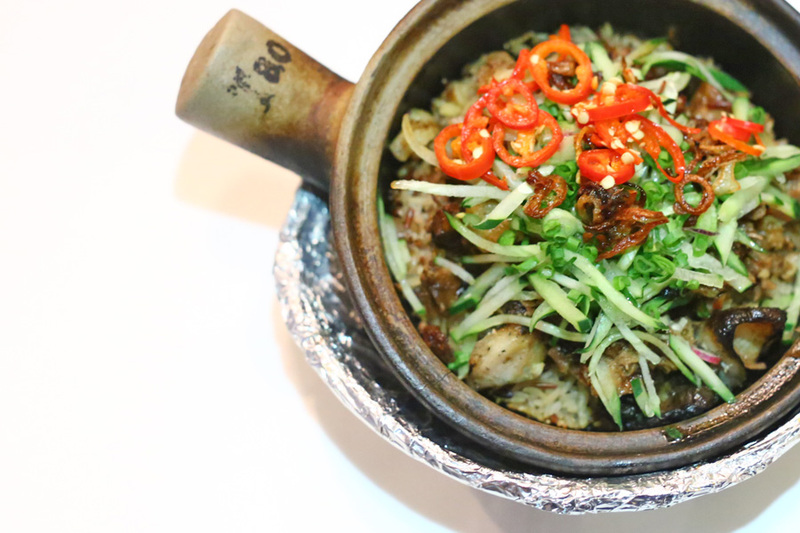 Provisions focuses in claypot rice, and its highlight include Seafood Rice ($16.00), Mixed Pork ($14.00) and Oyster Omelette Rice ($18). While portion is meant for one, it was still comforting with generous ingredients, with fragrant charred bits at the bottom. Not to be missed is the KFC ($10), actually Korean Fried Cauliflower which is made to taste like Fried Chicken. Who would have known cauliflower could be this addictive?